This tour may require a mandatory single supplement charge of $844 if you join our share program and we are unable to pair you. 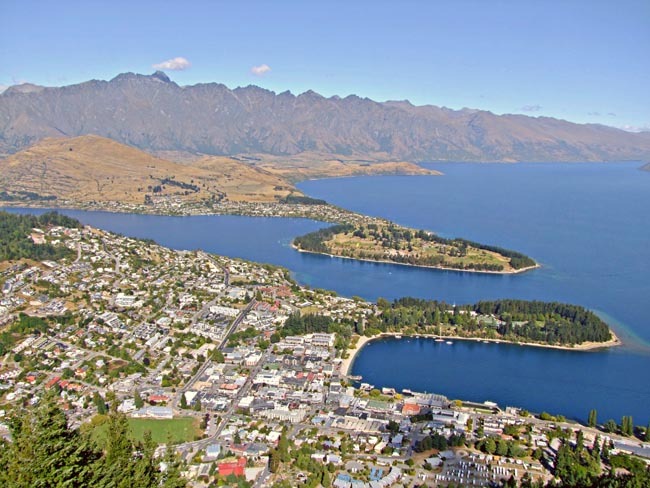 New Zealand is one of the most popular locations for tourists from all over the world and after you step outside off the plane, you will quickly understand why this is so and why our New Zealand tours are so popular. Explore the shorelines of Doubtful OR Milford Sound and see the dense rainforest that lines these turquoise waters. We might spot a Bottlenose Dolphin playing or the rare penguin making its way along the shore. A flight over Mount Cook gives us a better view after we explore the Canterbury Plains. The beauty of New Zealand isn't always out in the open; the stars above our heads while in the capital city, Auckland, is a sight we will enjoy, but nothing compares to the glow of a thousand glow-worms along the ceiling of Waitomo Caves. It is interesting to understand how the locals make use of the hot steam that is constantly coming from the earth in the Taupo Volcanic Zone. The overnight stay on the Fiordland Navigator on Doubtful Sound was excellent. The organization and transportation through Real Journeys was impressive and their staff on board were helpful and efficient. The flight over Milford Sound was a great experience. Te Papa Museum was a highlight. I enjoyed the scenic flight over Mt Cook and got lucky with the weather. It was spectacular. I also enjoyed the Waitamo caves with the glow worms. Also good was the Te Puia and Maori Center ending with a very nice Maori Hangi... Delicious. The guide in Te Puia was very enjoyable and has lot of info for the group. The transportation was excellent. It is always nice to have a big bus ...lots of room around to spread out. It was also always nice and clean. Meals were excellent. Probably the best food for me with AA except when we were in Iceland. Overall, an excellent tour!!! One of the best for me. 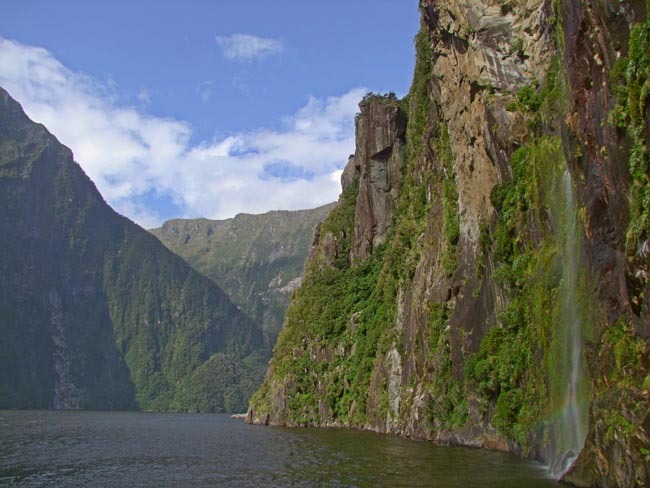 The excursions I enjoyed the most were the airplane excursion, train ride, Doubtful Sound cruise. Drivers were excellent and considerate. Every restaurant an adventure. Very good food. Our tour leader Jonathan was kind and attuned to the needs of the individuals in his care. He was happy all the time. Very innovative and selfless. Great sense of humor. Value received, very good trip. The "flight-seeing" over Mt. Cook was spectacular, as was the Doubtful Sound overnight excursion. Also enjoyed the Maori meal and performance in Rotorua.Beautiful buses, especially the ones designed to slope up towards the back, enabling back-seat passengers to see out the front window. Excellent drivers, and lots of room for the 15 members of our group. I enjoyed all the excursions. The Doubtful Sound cruise was a highlight for me--beautiful weather,good food and sealife sightings, especially the crested penguins. Both the Te Papa and Aukland Museums were fantastic and the Waitomo caves were fascinating. Good balance of sights seen. Particularly enjoyed the albatross and penguin experiences. Mt Cook flight was wonderful. Good large coach so didn’t feel cramped. Great selection of restaurants. Thoroughly enjoyed the trip. Well balanced and not rushed. Today we follow the 'Thermal Explorer Highway' to the heart of the North Island. This highway takes us through some of the most stunning scenery in New Zealand, along a path well-known for its geological wonders -- from huge limestone caves, to bubbling geothermal areas and volcanic plateaus. We will view the Wairakei Steam Valley where the thermal energy is harnessed in the world's second largest geothermal power plant. We will see spectacular Huka Falls, located on the rushing Waikato River. We will also visit Lake Taupo, the water-filled crater of an ancient volcano. Surrounded by stunning volcanoes, bush clad mountains and a spectacular landscape; this is the largest freshwater lake in New Zealand and the Southern Hemisphere. We then continue to travel south to Wellington. Our journey south takes us on the spectacular desert road along the edge of the World Heritage Site at Tongariro National Park. Established in 1887, Tongariro was the first national park in New Zealand and the fourth in the world. This is also a dual World Heritage area, a status that recognizes the park's important Maori cultural and spiritual associations as well as its outstanding volcanic features. Called the world's 'coolest little capital' Wellington is known for its vibrant arts scene, world class café and restaurant culture, and active outdoor lifestyle. Set around an attractive waterfront, you'll be hard pressed to find a city in the world that's easier to get around. A creative, cosmopolitan city, Wellington combines the sophistication of a capital with the warmth and personality of a village. This morning we enjoy a city sightseeing tour, including a tour of the Parliament Buildings. We will also visit Te Papa, New Zealand's fantastic 'National Museum'. 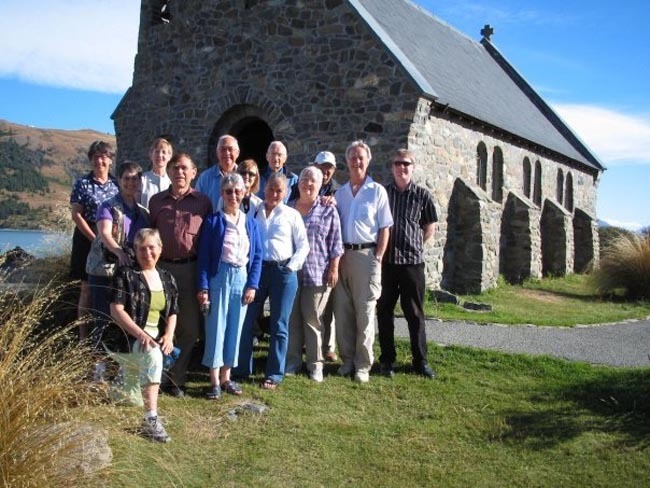 Here we will have a guided tour of the highlights from New Zealand's natural environment, art, and history. We'll then take the 3-hour journey across Cook Strait to the South Island. This journey is considered be one of the most beautiful ferry rides in the world. Named after James Cook, the Cook Strait connects the Tasman Sea on the west with the South Pacific Ocean on the east. Today we will enjoy a spectacular scenic journey between the mountains and the sea as we travel through the Marlborough region. This geographic region has a growing international reputation for it's white wine production. We'll visit a winery en route to the thriving seaside settlement of Kaikoura, an area offering unique whale and dolphin watching experiences. Several different species of whale can be seen off Kaikoura at different times of the year, but almost always the huge Sperm Whales. There is also a large and readily bserved colony of Southern Fur Seals at the eastern edge of the town that we will visit. We continue between the Pacific Ocean and rugged Kaikoura Ranges to Christchurch, the 'Garden City'. 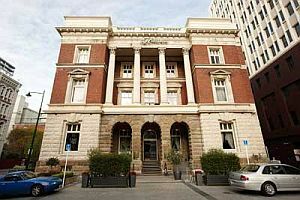 Christchurch promises an eclectic mix of historic elegance and contemporary culture. 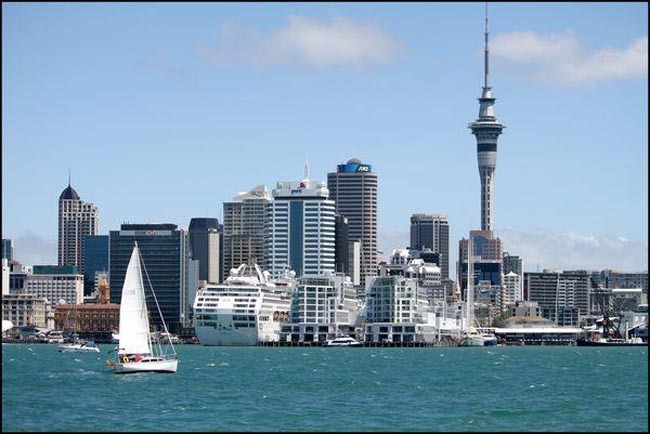 The city is the focal point of what is called the Canterbury Region, which is that portion of the South Island that generally lies east of the Southern Al. The city's population is a manageable 300,000 or so, and dates from around 1850. It began as a Church of England settlement (hence the name) and was supposed to be a haven for landed gentry and "good Christian souls of lesser caste." This morning we will board the award-winning TranzAlpine Train, one of the world's most scenic rail journeys. Our route will take us across the vast patchwork farmlands of the Canterbury Plains and we will enjoy stunning scenery as we journey through spectacular gorges, river valleys and across the country's greatest mountain range, the magnificent Southern Alps. After approximately 2.5 hours we will disembark at Arthurs Pass and continue to Hokitika by coach, a journey along the west coast and bringing us to the World Heritage-listed area of South West New Zealand (Te Wahipounamu). Shaped by millions of years of glacial movement, the fiords and coasts of South West New Zealand are outstandingly beautiful. Hokitika was a gold rush town in the 1860s, and the countryside around Hokitika is dotted with historic sites related to its mining past. Today Hokitika is known for its arts and crafts produced by local artisans. After a break for lunch, we continue to Franz Josef. The magnificent Franz Josef Glacier is widely regarded as the gem of New Zealand's West Coast Glaciers. Overnight at Franz Josef (or nearby Fox Glacier). Today we will view some truly magnificent scenery as we travel along the rugged west coast to Haast. Here we will experience a unique river safari, capturing breathtaking views of the massive glacier formed Haast River Valley, flanked by towering peaks, cascading waterfalls and dense temperate rainforest. The one hour trip through the mighty Haast River Valley allows us to journey into the heart of Te Wahipounamu -- the South West World Heritage Area and experience a close-up encounter with this untouched landscape and its remarkable natural features. We then rejoin our coach and continue to Queenstown. Our journey continues across the South Island to the East Coast and the city of Dunedin, renowned as the 'Edinburgh of the South'. Today we will journey to the nearby Otago Peninsula. The Otago Peninsula, together with its 20 km long Otago Harbour, is the home of an abundance of magnificent and world famous wildlife. 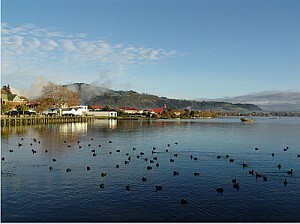 The Otago Peninsula is predominantly of volcanic origin, steep and, on the Pacific Ocean side, very rugged. The harbour side is relatively warm, sunny and sheltered. Our scenic drive will take us past lush green pastures, small bays and inlets, sandy beaches, rugged hills, and volcanic landforms. During our time in the vicinity of Dunedin we will visit Larnach Castle and the Penguin Place, a private conservation reserve dedicated to helping the endangered Yellow Eyed Penguin survive. We'll also visit the Royal Albatross Centre for a guided tour. This is a modern, purpose-built indoor glassed viewing area. We'll enjoy a 60-minute guided wildlife tour telling the story of the Northern Royal Albatross, followed by a short movie by Natural History NZ then a visit to potential viewing areas on Taiaroa Head. Witness the fascinating social and family life of the breeding colony, devoted parents guarding their chicks; adolescents posturing and displaying as only juveniles can, courtship proceedings, nest building and interplay. Nowhere else in the world can you enjoy the privilege of viewing these majestic seabirds in their natural environment. 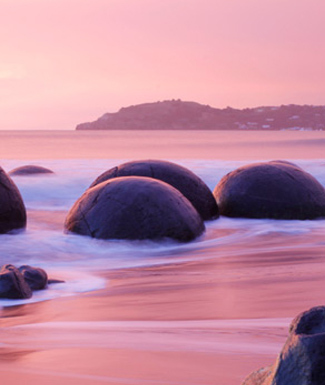 Today we journey north along the coast to view the unique Moeraki Beach boulders before turning inland and traveling towards New Zealand's highlands and the UNESCO World Heritage listed Mt. Cook National Park. Along the way we'll stop at Oamaru, famous for its impressive streetscapes with many buildings constructed of local limestone. Mount Cook Village is at the base of Mount Cook, probably the most spectacular national park in the country and one that rivals most scenery you'll see in the European Alps. The park, 680 sq km (270 square miles), contains more than 20 peaks over 3000 m (10,000 feet), including Mount Cook, the tallest mountain in Australasia. The Maoris called it Aoraki, 'the Cloud Piercer.' It also features the world's longest temperate-zone glacier, the Tasman. After a few hours for some exploration -- possibly a leisurely walk to a glacier -- we continue to our hotel. Overnight in the vicinity of Mount Cook. 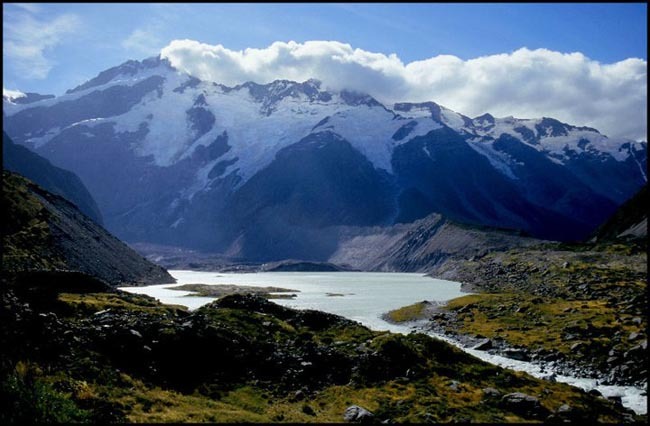 This morning we enjoy (weather-permitting) a scenic flight-of-a-lifetime -- the "Grand Traverse" -- a spectacular scenic flight-seeing experience allowing you to explore the Mount Cook and Westland National Parks. This 'flight-seeing' experience encompasses two World Heritage National Parks and 200 sq km of New Zealand's most memorable and spectacular scenery: Beautiful turquoise glacial lakes, golden tussock lands and braided river systems of the Mackenzie basin; remote High Country sheep stations, glacial valleys and landforms; the Aoraki Mount Cook National Park -- a magical world of permanent ice and snow. The fixed wing aircraft ensures that every passenger has a window seat and all aircraft have wings-above to ensure optimum viewing below. Pilots provide a full and informative commentary. We continue with a visit to Lake Tekapo, and then we leave the 'High Country' and cross the Rakaia River towards Christchurch. Chateau Marlborough offers luxury 5 star Blenheim hotel accommodation in the heart of one of New Zealand's most famous wine ... Choose from a range of boutique hotel accommodation options, including a luxurious 2 bedroom Grande Penthouse, 1 bedroom Grande Apartments, Grande Studio Suites, Executive Suites, Superior Suites & Classic Suites, all of which are self-contained. 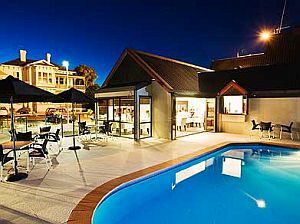 The only 100% locally owned and operated Qualmark rated hotel in Marlborough, Chateau Marlborough is the only 5 star Hotel in the top of New Zealand's South Island; enjoy the beautiful surroundings overlooking Seymour Square Gardens and it's only an easy 2 minute walk to Blenheim’s town centre. From an intrepid journey through glacial valleys to a mouth-watering culinary dining adventure, The Hermitage Hotel is the perfect place ...	base your adventure and discover why this region has endeared itself to Kiwi adventure seekers for so long. 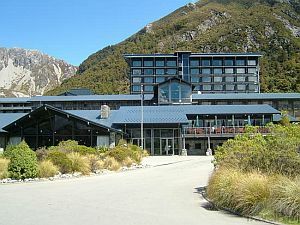 Choose from premium hotel rooms, motel units or cozy chalets.Add world-class activities such as Glacier Explorers, Tasman Valley 4WD and Argo Tours, Big Sky Stargazing, Mount Cook Guided Day Walks, scenic flights or the visual extravaganza of the Sir Edmund Hillary Alpine Centre and you have a unique, year-round alpine adventure perfect for the family holiday or your next romantic getaway. Breakfast and dinner daily (hotels and local restaurants); lunch on overnight cruise. All land transport, sightseeing (including scenic overflight) and entrance fees for sites noted as 'visited' in the detailed itinerary. Gratuities for local guides, drivers, restaurant staff, porters. Airport transfers for land & air customers and for early arriving / late departing land & air customers who book their extra hotel nights through us. Subtropical in the north and temperate in the south. The warmer months (Oct-Mar) are the most pleasant, though you must be prepared for a wide range of conditions. Transportation throughout via a/c private motor coach. The trip is not strenuous though it is busy; you must be prepared for some full days and early starts. Because heat is not such a consideration in New Zealand, we rate this tour as easier than Australia (with which this trip can connect). Well-located, air-conditioned, mid-range (3 star) hotels with en suite toilet and bath throughout (probably shower only). Single rooms are limited and likely smaller than doubles. Porter service is usually available at hotels though you should be independent with your luggage. 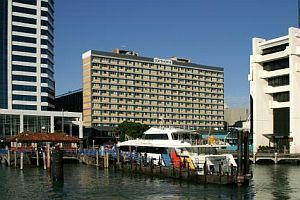 Our hotels in New Zealand are chosen primarily for location, cleanliness, security, and comfort. We regret that mid-range hotels in the region do not generally provide free wifi; it is available, but it may be costly. Tour Leader, coach captain, local step-on guides.